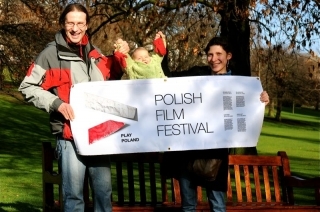 Play Poland Film Festival is an annual event promoting Polish art and cinema abroad, especially in Great Britain. Each year in mid October and November several British cities present screenings of the best contemporary Polish films as well offer a series of accompanying events. At the festival apart from feature films, there are also short films and animations. All of them specially selected in cooperation with strategic partners from Poland – film schools, production studios, film festivals. The aim is to reach to the widest audience possible, both Polish and foreign. Nowadays the festival went far beyond Great Britain, reaching countries like Canada, China, Norway, USA or Malaysia. At the festival interesting accompanying events take place, for instance different kinds of workshops or meetings with artist and directors. The exhibition of cinema posters by Polish School of Poster is also presented each year. Viewers can see there works even from few decades ago, which are divided into thematic and monographic sections. Play Poland Film Festival is also the celebration of visual arts. The aesthetic side of event is important, with an emphasis on the main poster, designed each year by different well-known and respected artists. Each year they also try to reinterpret the 'play' sign – the symbol and main theme of the festival. The originator and main organizer of the festival is Polish Art Europe – non-profit organization from Edinburgh. Thanks to its cooperation with other Polish community associations in the UK and beyond, for almost two months we can participate in this autumn feast of contemporary Polish cinema.